TiVo has revealed that its Q4 net loss more than tripled after the company dumped deep-discount digital video recorder boxes during the holiday season and racked up legal fees in a series of patent disputes. TiVo reduced its entry-level box price from $300 to $100, and the top-tier Premiere XL box from $500 to $300 per unit. And company guidance suggests it isn’t going to get any better. TiVo forecast a larger-than-expected loss for the current quarter. 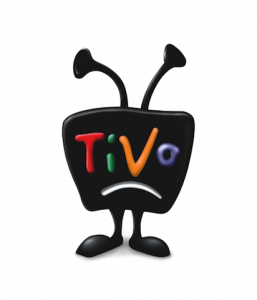 TiVo lost $34.4 million in the Christmas and New Year period ended January 31st. That compares with a year ago of a loss of $10 million. Revenues tumbled 19 per cent to $55.8 million from $68.7 illionm. Tivo’s legal fees aren’t helping, and the slew of litigants is growing almost by the day. For some years Echostar’s Charlie Ergen has been in dispute, a few weeks ago Microsoft jumped into a further legal squabble with TiVo, arguing that TiVo is importing boxes into the USA which infringe certain Microsoft patents. On March 1st a US judge delayed existing proceedings between AT&T and TiVo until the US Patent Office makes its own ruling on the increasingly complex arguments, writs and counter-writs that revolve around TiVo’s (and its rivals) patents. The only upside in the TiVo story is that it added its own (TiVo-owned) net subscriptions during the quarter, up 60,000 from 46,000 a year ago. But churn-out was still high, with net subscription losses of 55,000 (although down on last year’s 72,000). Include overall subscriptions, including wholesale deals, and the numbers are worse, during the quarter, the company lost 223,000 subscribers, including the already mentioned 55,000 who own TiVo set-top boxes. The rest were cable companies’ customers. That compares with a loss of 131,000 subscribers during the year-earlier period, including 72,000 people with TiVo boxes. This represents a monthly churn of 3 per cent, up from 2.6 per cent. TiVo will be looking to its deals with European operators like Virgin and ONO to revive its fortunes.